Bookcase carved date unknown for Nancy Field . Who was Nellie Payne? 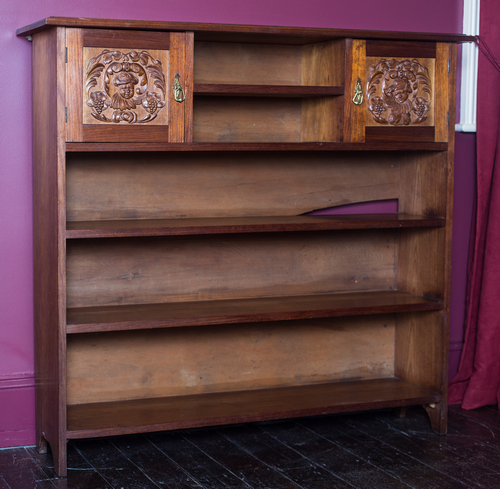 Bookcase carved for Nancy Field. 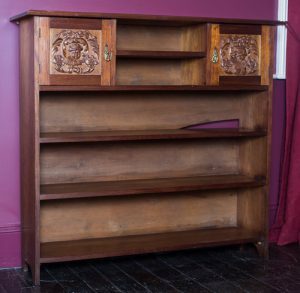 This book case was made for Nellie’s neice, Nancy Field (b1900-d1988). Nancy did not marry and it in unknown when Nellie carved it for Nancy. It was handed down to Nancy’s nephew, Geoffrey, who still treasures this piece of furniture. Geoff remembers going to stay in Hobart and staying with Nellie and Madge. He remembers Madge’s home keeping skills, and Nellie being deaf but a highly skilled lovely lady who spent a lot of time in her studio carving various items.